At Nanuya Island Resort - we love to read about ourself! 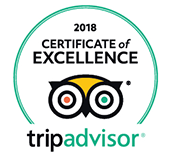 Check out these various articles that have been written about Nanuya Island Resort - we love them and hope you will too. They might even be the difference between choosing us for your holiday or vacation, over the other properties available. ....and if you come across an article or story piece that covers Nanuya Island Resort, we'd appreciate you telling us about it so we can add it to this section. VODAFONE Fiji 7s coach Gareth Baber will be present at the Nanuya Island Resort-sponsored Yasawa North High School 7s tournament to identify untapped rugby 7s talent. This beautifully presented resort catering for the more mature adult but not exclusively, is nearer the top end of the Yasawa's and close to most diving sites and a great location to be in the heart of everything. Six staff of Nanuya Island Resort say they are impressed with the services at Grand Pacific Hotel (GPH). GPH gives the opportunity to smaller outer Island resorts staff the exposure needed to lift the standard of service delivery. THE general manager of Grand Pacific Hotel, Peter Gee, says helping with smaller resorts in cross-training boosts the tourism industry in general. I went looking for Fiji. Not in a geopgrahical sense, I would only need look at a map to location the isalnd nation out in the South Pacific, a mere three hours or so from the Australian coast. No, I was looking for the 'old' Fiji. 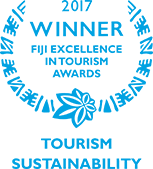 NANUYA Island Resort's commitment to improving its ecological footprint resulted in the Yasawa property operating completely under solar energy. The Yasawa Island ground – of which Nanuya is just one of twenty – are off the north west coast of the Fijian Islands. Nanuya Island Resort, in Fiji’s Yasawa Islands, is under new ownership and set to undergo multimillion dollar extensions and improvements. Australian couple Ivan and Val Parker have had a six-year relationship with the people of the Teci Village in the Yasawa Group.